Being London-based means I do a lot of wedding photography in the city. Something I always try and remind my couples is what a great place it also is to do an engagement shoot. From spectacular iconic buildings to moody back streets, edgy creative quarters and historic parks, there’s an unbelievable array of shoot locations just waiting to be used. It’s a no brainer if you live in London, but even if you’re just passing through it could be the best few hours you spend in the big smoke, since you can explore a bit and capture some fabulous relaxed shots before the big day. Of course, there are more than ten fantastic locations – and you don’t need to limit yourself to just one – but these are my favourites. If one captures your imagination and feels like it could be perfect for your engagement shoot in London, just let me know! 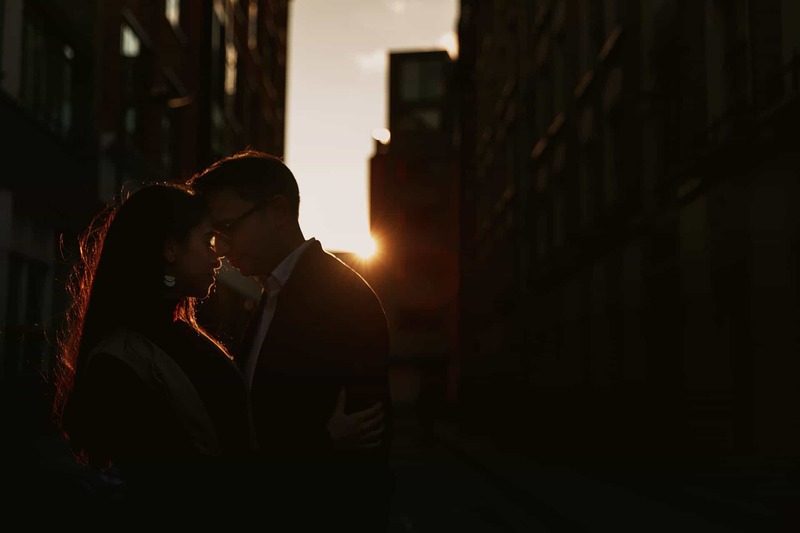 If you’re not quite sure where you want to be for your London engagement shoot, but you know you want it to really feel like London, there’s no need to overthink it – just hit the streets. There’s so much variety and atmosphere that you can’t fail to find something interesting amongst the bustling visual tapestry of cars, pubs, people, gardens, iconic signage and eclectic architecture, and the River Thames. 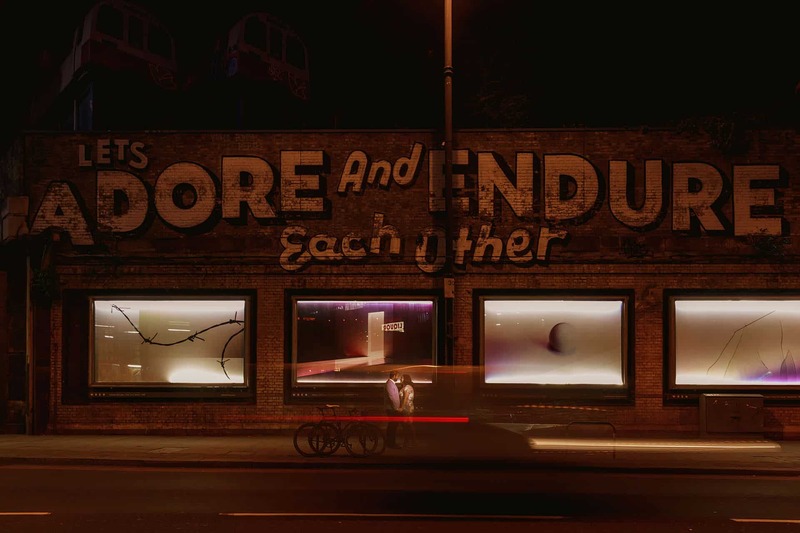 Whether you want Victorian splendour or graffiti-covered realism, it’s all about embracing the unexpected and exploring little bit, until you find something that feels authentic to the two of you. If you want a real central London feel, with sweeping backdrops and a bit of scale, Tower Bridge is a great spot to aim for. The bridge itself is one of the most famous and photogenic landmarks in the capital, but also offers an excellent vantage point to shoot the two of you with the contrasting glass and steel of the city behind you. There are lots of excellent complementary locations nearby (like the world-famous Shard building to name but one) so you can get a lot of variety in a relatively short space of time. Arguably London’s most recognisable structures, Big Ben (or more accurately, the clock tower that holds the famous ‘bell’) and the Houses of Parliament are the ultimate symbols of British heritage. The neo-gothic style looks fantastic on camera, but better still the spacious streets nearby offer all kinds of opportunities for your engagement shoot, with plenty of additional iconic spots in walking distance. You can get up close and personal or cross Westminster Bridge and shoot them from across the river. Using depth of field to soften the buildings can look really good whilst still leaving them instantly-recognisable. Just along the river from Big Ben is the South Bank, a stretch of the Thames famous for its spectacular skyline and ultra-cool architectural details. Famous as the city’s original cultural district, it has a completely different feel to what was the far more affluent north bank, and if you want an artsy feel to your shots this is a natural first choice. Engagement shoots on the South Bank are effortless since everything just looks great on camera, with the added bonus of the London Eye nearby. And if you want a bit more hustle and bustle in your shots there are plenty of atmospheric streets and squares just a stroll away. One of the most popular spots in the West End is Covent Garden, a photographic favourite with locals, tourists and the soon-to-be-married alike. The theme changes throughout the year, which ensures your shots will always be that little bit more different, and its world-famous reputation for stylish boutiques, eateries, pubs and cafés is well-earned. Which makes it fabulously photogenic, and great for refuelling after your shoot. The Barbican Estate is a concrete wonder, filled with the kind of mid-late 20th Century minimalism that photographers adore (I’m no exception). 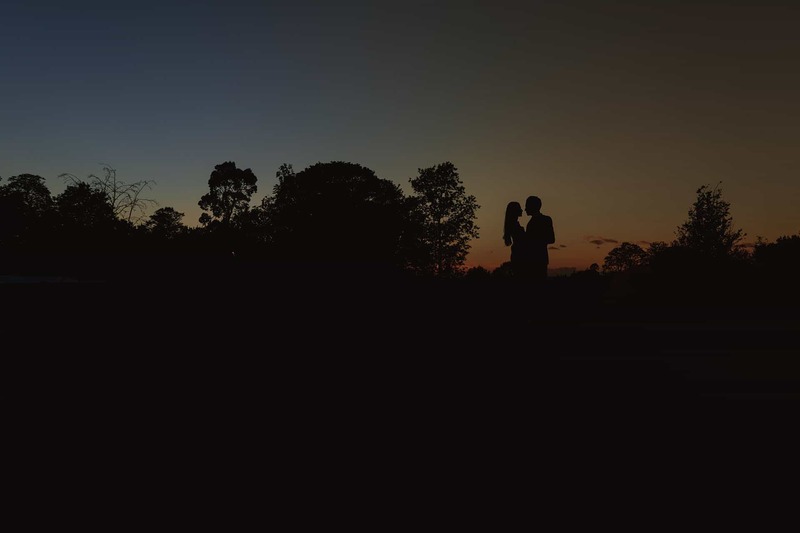 It also makes for a more private shoot, thanks to quiet hideaways that crop up here and there, great if you don’t fancy being on display to the crowds whilst getting intimate with your partner. 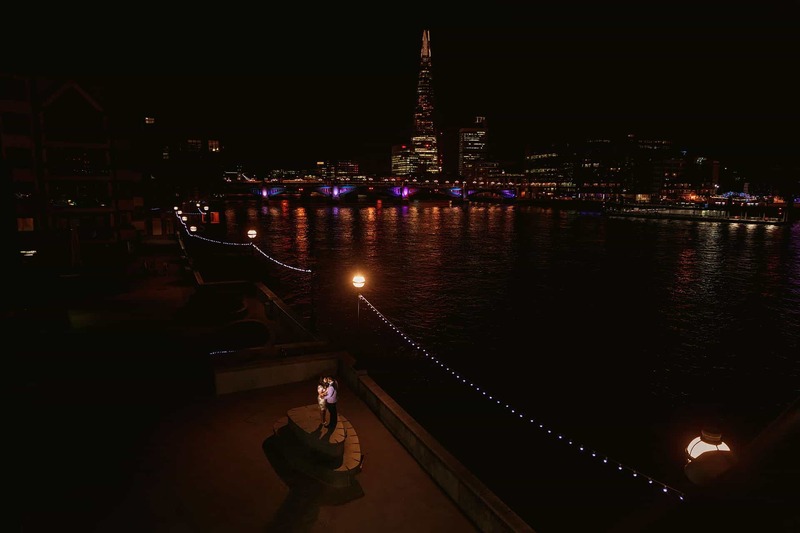 It’s also one of London’s premiere artistic destinations, home to the Barbican Arts Centre, the Museum of London, and the Guildhall School of Music and Drama. So if you’re after something with a bit of an edge, this could be your dream come true. 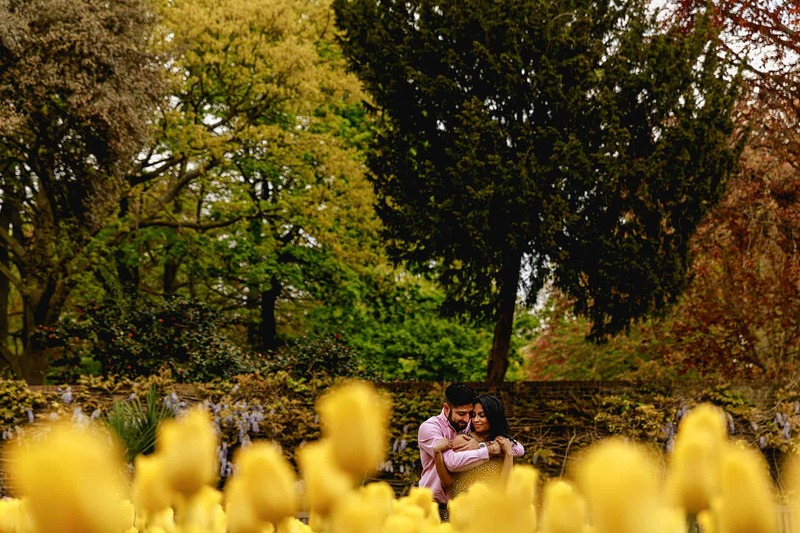 Regents Park, Hyde Park, St James Park, Green Park, and Kensington Gardens provide a picturesque and quintessentially London spot for you to relax and settle into your shoot, with plenty of variety on offer depending on what you want from your shots. From busy bandstands to quiet grottos or open spaces, there’s plenty for us to explore. And if you want a bit more spectacle, Buckingham Palace – official London residence of the British Royal Family – is just around the corner. It’s a bit more touristy but the iconic pillars are well worth the extra effort. A short jaunt from the centre on the Northern Line, Camden Town has been one of London’s coolest spots to hang out for decades, and you won’t find anywhere better for quirky backdrops, quirkier people and a real buzz. Music lovers will feel especially at home, Camden has one of London’s most vibrant gig scenes, and that raw creative energy always seems to come through in photos I take in the area. When you’re done shooting the streets I recommend heading up to Camden Lock for a slightly different vibe. The pubs, brick archways and old barges are effortlessly cool on camera. If you want an alternative look to your pre-wedding pics, this one’s for you. There are lots of London locations that offer views of the city, but few are as picturesque as Primrose Hill. A grade II listed park, you can get all the lazy, leafy shots you want, with sensational views of the city sprawling away in the background, then either head into the city for something a bit bigger or edgier, or carry on your suburban stroll towards Swiss Cottage or Chalk farm where there’s more remarkable Victorian architecture than you could possibly shoot in a day. And it all looks just as good at night as it does in the day. St Paul’s Cathedral is 1,400 years old, and the mother church of the Diocese of London. 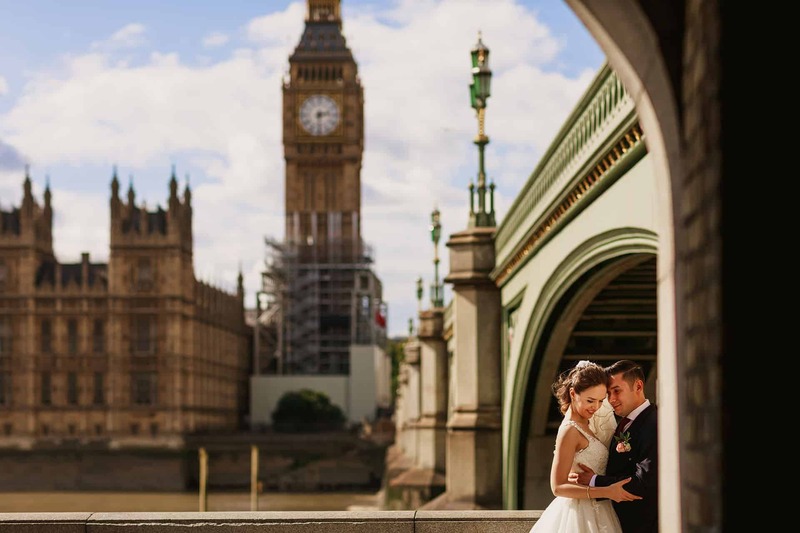 It’s spiritual, architectural and historic role cannot be overstated, and every year it draws hundreds of thousands of tourists to marvel at its splendid aura – many of them for engagement shoots. Head to the nearby Millennium Bridge and you can get a quite different feel, with its stunning views of the Tate Modern and the Thames. 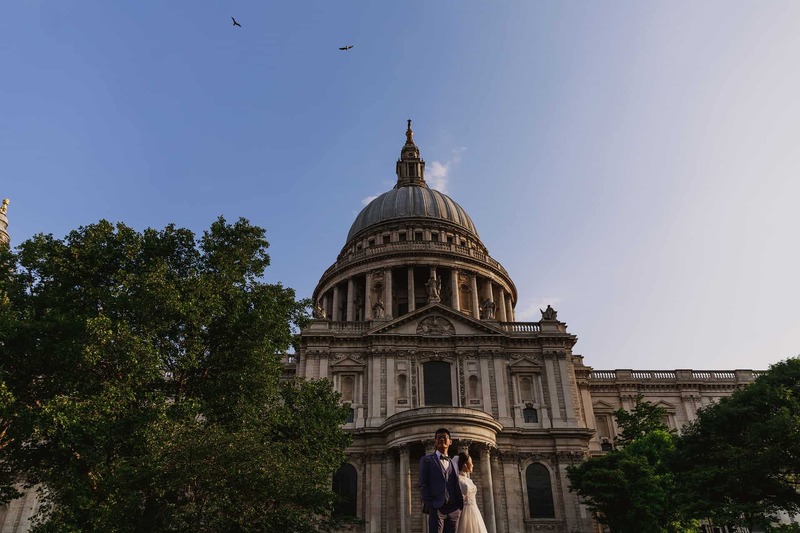 Especially when the weather is good, these are undoubtedly two of the best places in London to start the story of your wedding photographs, and you may even bump into a proposal or two along the way.